With multi-billion dollar valuations and promises of IPOs sometime in the next calendar year, people around the Valley and across the nation are expecting that Box and Dropbox to energize the public markets with their offerings. 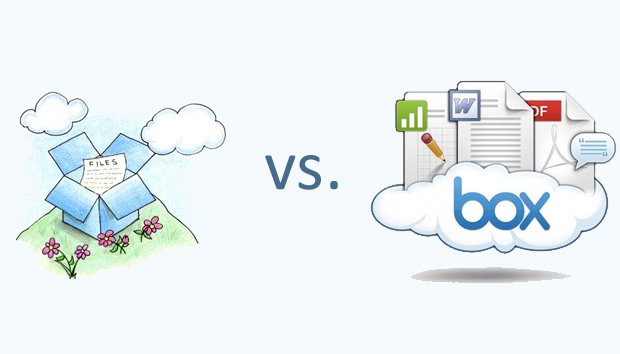 What’s interesting is that both companies are betting their financial success on the ability to gain traction with their enterprise or business products – Dropbox for Business and Box for Enterprise IT – yet neither company has completely solidified their offering in this sector of the market. While this is not a trend exclusive to these two companies, it’s evident that Dropbox and Box have fallen prey to the trappings of huge user bases first, with robust security technology an after-thought. Both tout massive customer bases, yet do not specify which are paying enterprise customers, and which are consumers taking advantage of their free sharing, sync and storage capabilities, a telltale sign that their business bases are much smaller than they’d like to admit. Both companies have legitimate promise, but lack the critical experience in the world of enterprise, business sales and delivery of enterprise-grade solutions that would remove investor anxiety before going public. Not surprisingly, Dropbox and Box are now shifting to adopt some of the strategies of developers in the market that have been building content sharing and sync products for the enterprise space for years. Most notably, to grab a significant portion of the enterprise pie, Dropbox and Box must integrate with data leak prevention (DLP) systems, establish data sovereignty to segregate information on a global basis, and boast FIPS 140-2 compliance for encryption modules. These are the types of features they’ll need to meet national and global compliance and regulatory mandates, which most large enterprises must adhere to. In order for one to overtake the other in the enterprise space, they’ll need to invest significantly in improving their security features. Another factor at play in determining Box or Dropbox as a market incumbent is acceptance of private cloud. Some of the largest companies in the world demand, and offer a solution in that space, so it must be an option offered by enterprise cloud providers. For example, Amazon is essentially building a private instance for the CIA, despite its established public cloud solutions, because when a global enterprise wants to use your services, you create what they need. The only way Box and Dropbox will truly crack into the enterprise software space is if they offer an agnostic view into cloud computing, and provide customizable, secure offerings for enterprise or government organization customers. When an organization has hundreds of thousands of employees with established infrastructure, vendors need to be flexible in how they deploy their solution, and the other products they can integrate with. Given both tech giants’ corporate trajectory it’s inevitable that their solutions will move in this direction, but with IPOs fast-approaching, time is no longer an ally. Flexibility and security are tantamount to succeeding in this space, and while I’m not betting against either one, I foresee roadblocks for Box and Dropbox in the 2014 enterprise market unless they increase their security and data control offerings.